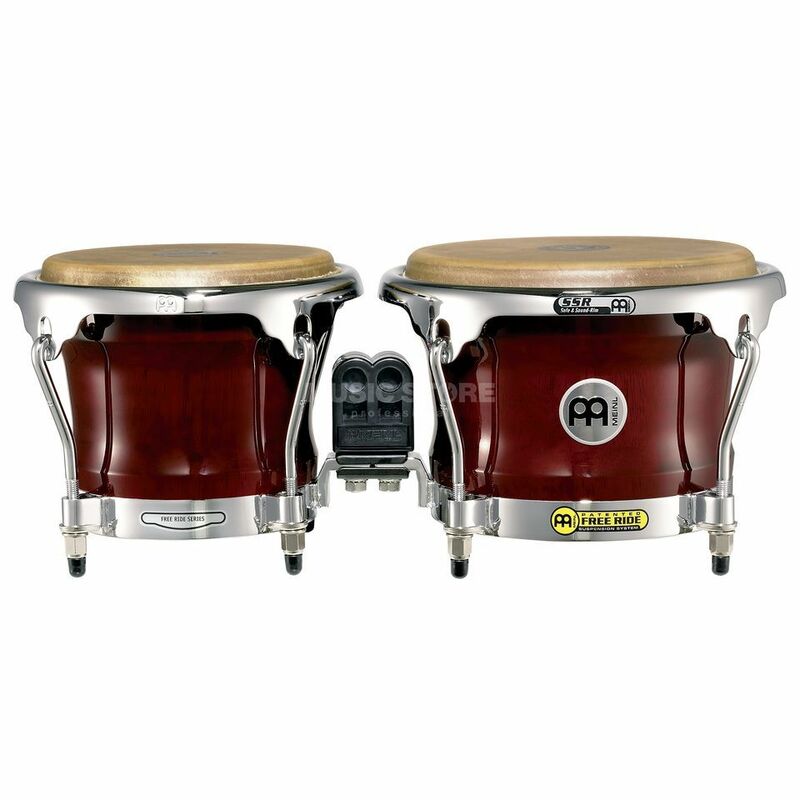 The MEINL FWB400 Free Ride Series Wood Bongos are the preferred bongo model by many top percussionists. Exceptional sound qualities combined with a wide variety of colours make it the perfect bongo for the working musician. The patented MEINL Free Ride System allows freely resonating bongo shells. MEINL Free Ride Bongos FWB400 features: Free Ride suspension system (patented) 8 mm strong tuning lugs 3 mm rounded SSR-rims resonance shaping area incl. accessory pouch Tune Up Oil !!! 3 years Music Store warranty !! !